July featured some of the hottest days of the year so far. The warm weather means our crops start to reach peak production. 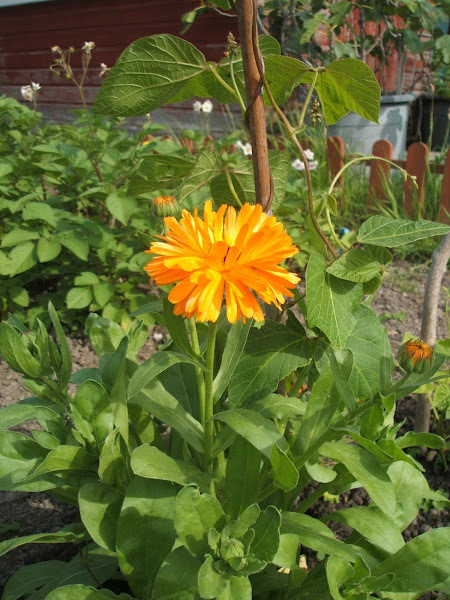 It also means more trips to the allotment to water the plants...which I don't mind as it's better than going to a gym. 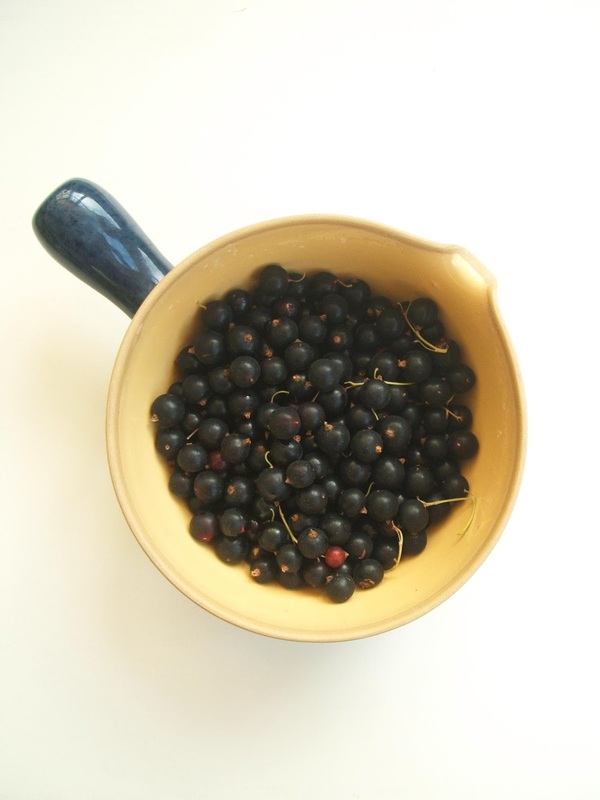 This year we've had our first crop of blackcurrants. We've picked loads and I've heard people talking on Instagram about it being a 'good year' for blackcurrants. They are certainly very juicy. I made an apple and blackcurrant crumble with some of them, it was delicious. 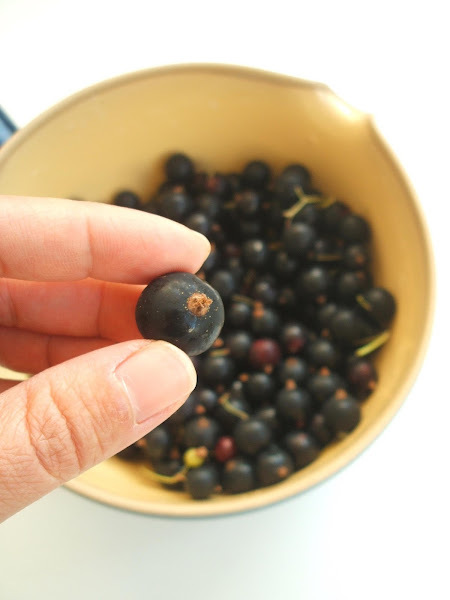 I don't think I've ever eaten fresh blackcurrants and it packed a real taste punch. Magoo declared the crumble was 'too tasty'...which I think is a thumbs up! It's also the first year our Gooseberry bush has produced fruit. 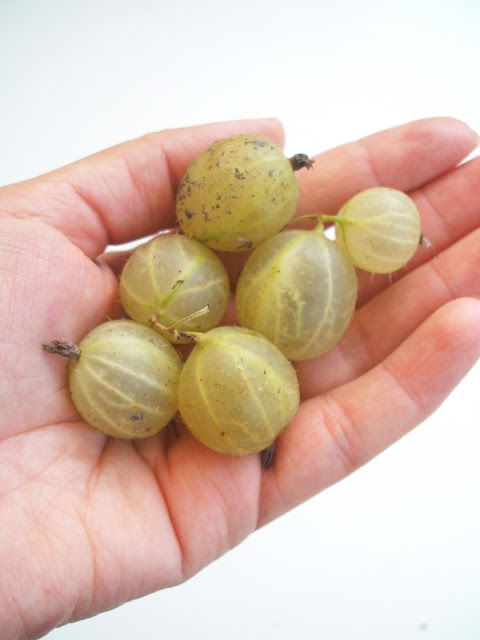 We've had lots of fat, juicy gooseberries which I made into a compote to pour over fresh yogurt. 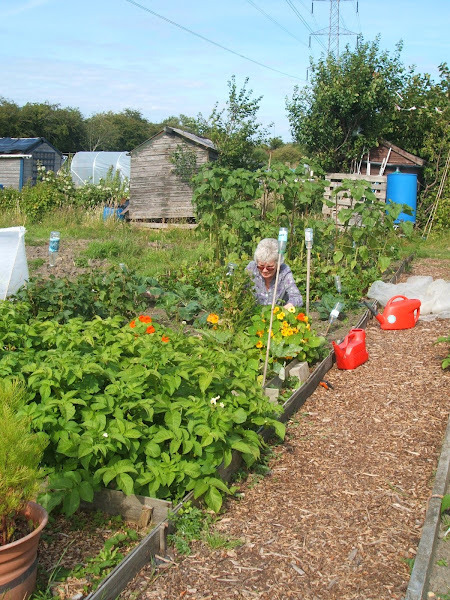 The community aspect of allotmenteering features in my five ways an allotment makes family life better blog post. In my opinion, allotments are one of last true community spaces we have in towns and cities. They are open to all, affordable and act as a green space in urban environments. 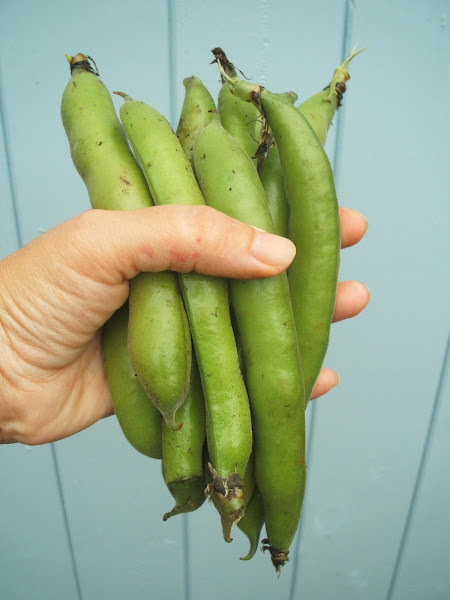 Thankfully, the peas Magoo planted in her raised bed have produced lots of pods. 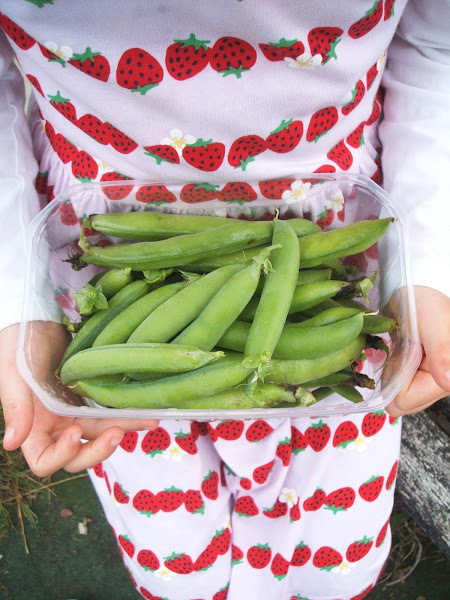 The broad beans in her raised bed have fared better than the ones planted out in the main beds. We've been picking a few pods each time we go to the plot. Popping peas straight out of the pod and eating them raw is one of the best perks of growing your own food. All your hard work over the year is really paying off. the allotment is looking amazing and look at that long list of things you are growing! Blackcurrants are delicious and gooseberries if you can be patient and wait for them to ripen. The beans look wonderful too. I love that it has become a family passion from Grandma to Magoo. It is a wonderful way to enjoy the outdoors. I could really do with some tips from you, even my tomato plants have run away again this year here. I'm envious of your plot! It looks lovely. Kids always enjoy getting stuck in, dont they?! Goodness your harvest looks so amazing! The fruits and veggies are SO fresh! And I can think of so many dishes where to put them too! I have a friend who has got an allotment and would give me some of her harvest as its a lot! 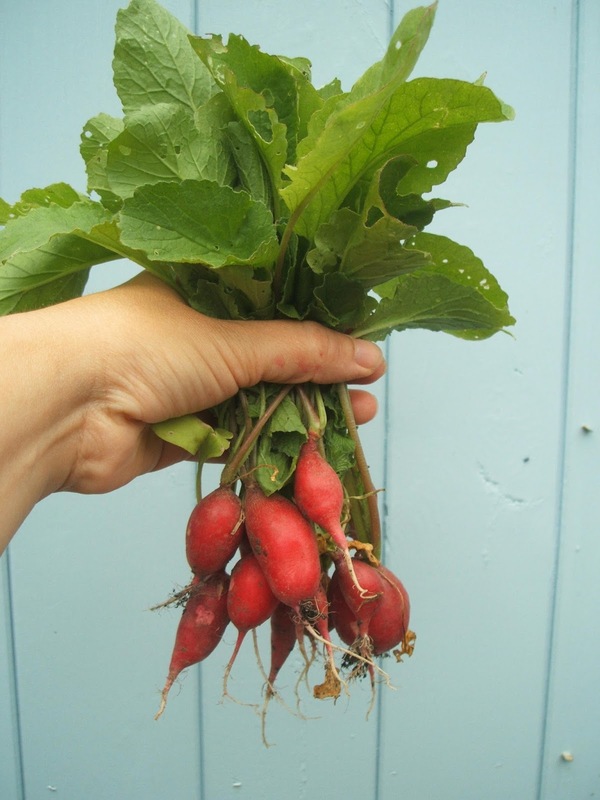 How lovely to be getting not only fruit and veg from the allotment but fun and exercise as well. How nice that you had some beans passed onto to you, I am sure you will have an excess of something else to pass on.